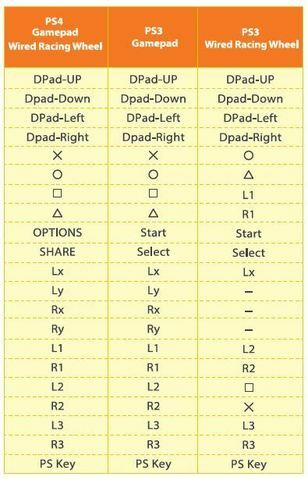 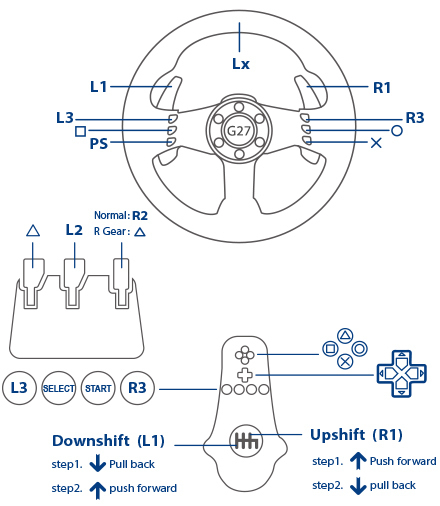 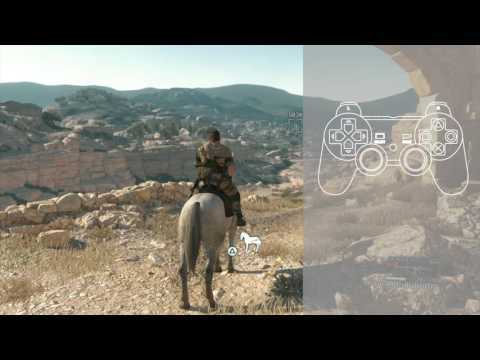 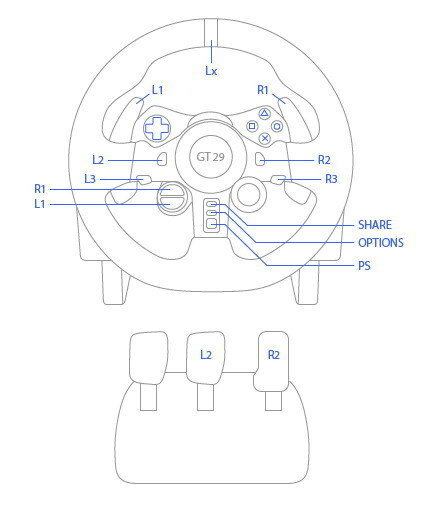 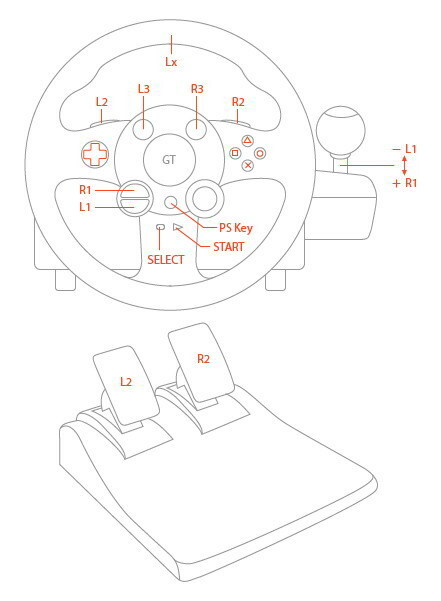 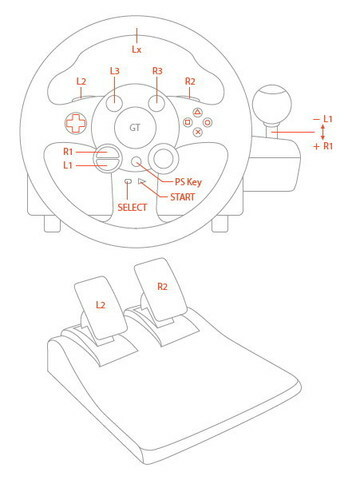 PS3 controller: Use the "Select" button and the R stick to simulate the touchpad button. 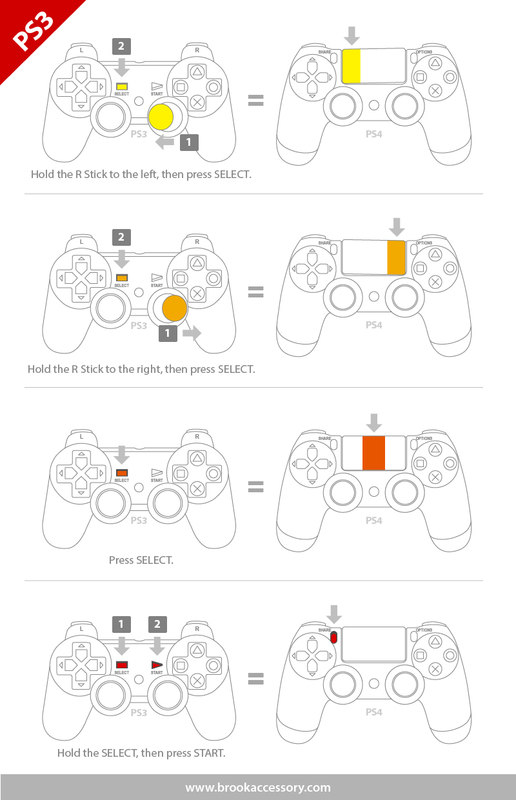 Another new function: Use the “SELECT” button and the “START” button to simulate the “SHARE” button. 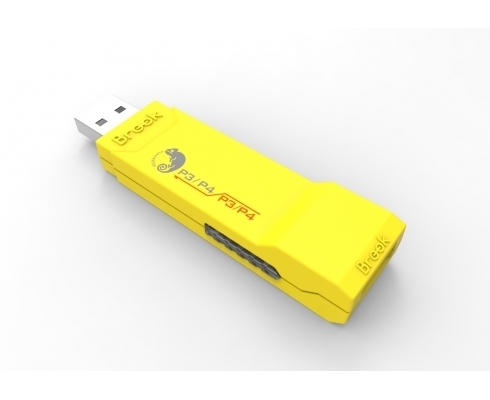 •Each Brook Controller Adapter can only handle one wireless PS3/PS4 controller at a time. 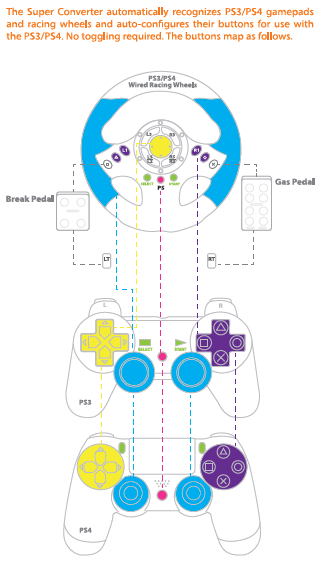 •Wireless PS3/PS4 controllers connect to the Controller Adaptor automatically, but must be connected with a USB cable at first time use for the purpose of registering the controller. 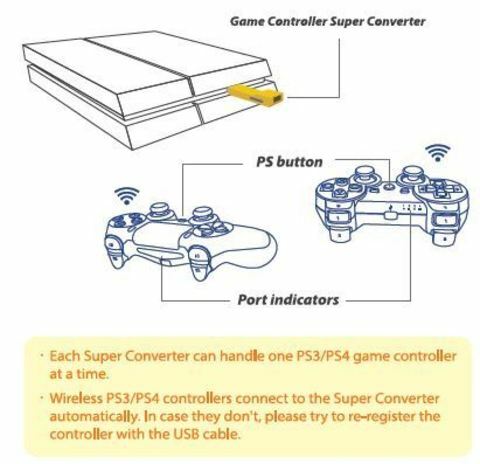 •After registering a wireless controller and unplugging the USB cable, please wait 3-5 seconds before pressing the PS button to ensure that the connection to wireless is smooth.